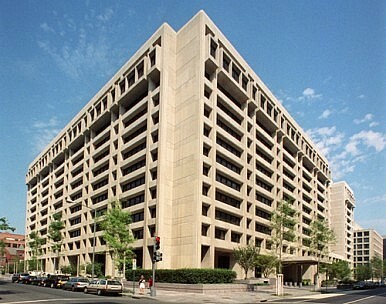 In a serious blow to democratizing global governance, the U.S. Congress last month rejected a funding request from the Obama administration that would have reformed the International Monetary Fund (IMF). The move leaves the 188-nation group without additional resources and blocks an increase in voting power for China, India, Brazil and other emerging markets. The refusal of the U.S. to ratify the agreement is particularly paradoxical after U.S. policymakers had been far more active in promoting the deal than their European counterparts. Now, there is no realistic chance that reform will be implemented before 2015. Specifically, the reforms would have doubled the IMF’s quota to $720 billion, and shifted six percentage points of total quota to developing countries. Under the reforms, China would become the third largest quota-holder at the Fund (second only to the U.S. and Japan), and Brazil, Russia, and India would become top-ten quota-holders as well. Under the reform, U.S. voting power will decrease slightly but would still maintain its veto. In addition, in reforming the Fund’s Articles of Agreement, the change moves two of the 24 IMF directorships from European to developing countries. While emerging powers have remained patient over the past year, discontent has begun to spread among those who would stand to benefit most from the changes. The situation is particularly bizarre because a further round of IMF quota reforms is already under discussion and due for completion in early 2014. In March 2013, almost 100 policymakers and academics sent a letter to the U.S. Congress urging the ratification of the reforms, arguing that any further delay would crucially reduce the United States’ credibility in the Fund. It would also reduce confidence that the United States continues to be willing and able to assume leadership in global financial management. What good is a forward-looking president if he cannot convince Congress of the necessities of reform? Finally, further delay could challenge the narrative that the United States is willing to adapt global governance structures to new realities, and it is mainly Europe that fears the rise of the BRICS. The lack of reform is particularly problematic as Europe will remain heavily overrepresented at the IMF, at a time when the institution provides large loans to troubled Eurozone countries. As a consequence, tensions between established powers and emerging ones are bound to continue. Indeed, the decision is a boon for those who argue that, despite all the rhetoric among European and North American leaders, established powers will never allow the Bretton Woods institutions to become truly inclusive and democratic. Analysts in Brazil, India and South Africa were quick to point out that this would strengthen the BRICS’ resolve to go ahead with the creation of the BRICS Development Bank. Yet bank-related progress since the 5th BRICS Summit in Durban in 2013 has been painfully slow. When asked about the new bank, diplomats in Brasília, Pretoria and Delhi keep pointing out how difficult setting up a multilateral development bank is. Coordinating such a process between five countries is indeed a challenge – but that cannot mask the fact that true political will from the top may be missing at this point. Brazil’s foreign ministry, for example, is currently digesting a budget cut after years of expansion, and Dilma Rousseff’s seems more intent on consolidating Brazilian foreign policy rather than engaging in new costly projects. On a broader level, the decision is an unmistakable sign that, at least for now, the United States is unwilling to play the leadership role it has assumed in the past. It remains to be seen how far the BRICS are able and willing to fill the void. Oliver Stuenkel is Professor of International Relations at the Getulio Vargas Foundation (FGV) in São Paulo, Brazil. Is It Time to Put Away the BRICS?China Needs to Get Busy Marketing BRICS BankBRICS Bank: The New Kid on the BlockBangladesh Wants to Join BRICS BankBRICS: The World's New Banker?